Betty Lou Nielsen White, born January 5, 1929 in Hyrum, Utah, a daughter of George Benjamin and Katie Ione Jensen Nielsen. Reared and educated in Hyrum (Cache County), Utah. Graduated from South Cache High School in 1947, where she served as Student body Vice President. Married R. Wendell White, June 2, 1950 in the Logan LDS Temple. Graduated from Utah State University in 1951. Taught in the Elementary School System (2nd and 3rd grades) in North Logan, Philadelphia, Pa., Kansas City, Missouri, and Houston, Texas, while her husband was in dental school and oral surgery residency. A member of The Church of Jesus Christ of Latter-day Saints, serving in many capacities throughout her life. Including: Secretary of the MIA (Mutual Improvement Assoc. ), Primary Teacher, Junior Sunday School Coordinator, Young Women Leader (President), Cub Scout Den Mother, Chorister, Counselor in two Relief Society Presidencies, Librarian, and Relief Society & Ward Historian. Devoted wife, mother, and grandmother. Enjoyed “preserving memories” and had taught many Relief Society Mini classes throughout the valley relating to this. Loved the outdoors, the beauty of nature. Enjoyed working in her yard. Always sought after that which was virtuous, lovely of good report or praiseworthy in literature, music, and arts. Considered her greatest calling and privilege the honor and blessing of being a wife, and mother, grandmother, and great grandmother. And, eternally grateful that Families Can Be Forever. Survivors include two sons, two daughters and their spouses: David (Lori Russell) of Sandy, Utah, Jonathan (Gail Freidel) of West Haven, Utah, Delma (Peterson) White of Garland, Utah, Melanie (Brian) Perry of Richmond, Utah, and Jennifer (Roger) Hulce of Tremonton, Utah; 18 grandchildren, and numerous great grandchildren; two sisters: Pat Brown of Logan, Utah and Gloria Holt of Smithfield, Utah. Her husband, a son, Bryan, her parents, and sister, Lynda, and a brother, Glade, preceded her in death. 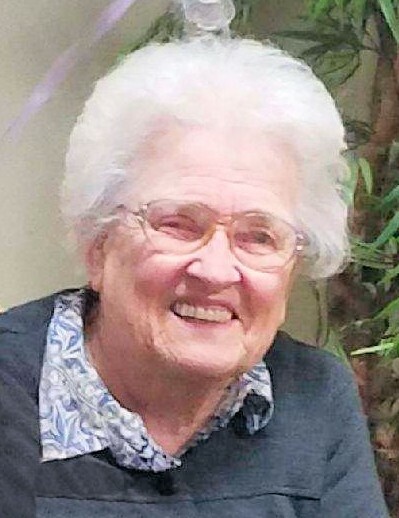 Funeral services will be held on Saturday, March 23, 2019 at Noon in the Tremonton Stake Center (660 N. 300 E.- Tremonton). A viewing will be held prior to the funeral service from 10:30- 11:30 a.m. Interment in the Tremonton Cemetery.